Todd's family gets together at his parent's house most every month for Sunday dinner. 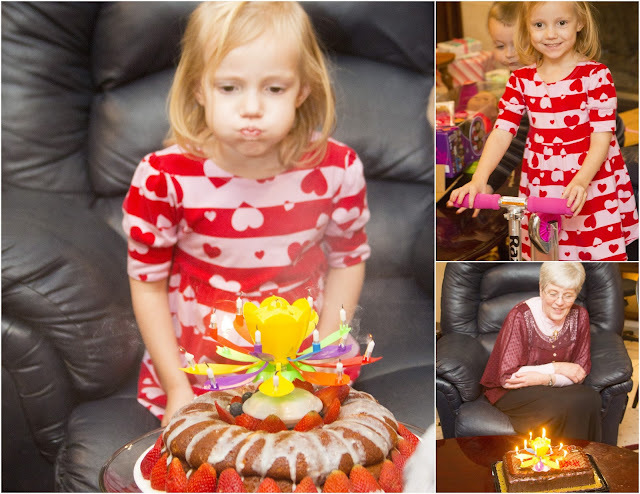 Since Stella shares her birthday with her grandma, for the past five years we have had the tradition of hosting family dinner during the month of February. There are close to 30 people who attend, so the hardest thing is figuring out the logistics of seating and cooking for a group that size. I think this year was the smoothest one yet. Todd got to use his Anova Sous Vide cooker to prepare the beef tenderloin, which made the all that much easier and delicious. 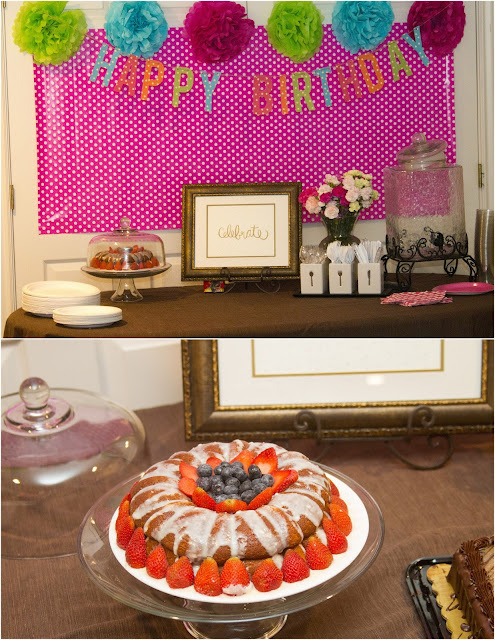 We also made crispy smashed potatoes with avocado aioli and a delicious bunt cake for Stella. The food was great, the company was even better. We enjoyed visiting with everyone in attendance and were entertained by Breanne's reading of The Book with No Pictures by BJ Novak. Vicky and Stella got to open their gifts and we all sang happy birthday to both of them. This year we got some fancy lotus candles. You light a center candle, which in turns opens and lights up 13 additional candles placed on the flower petals. The contraption even plays happy birthday for you. The only downside is that there is not an off switch to shut off the music, which can get annoying. Uncle Brandon finally figured out how to remove the battery so it would stop playing without damaging the candle. Stella enjoyed her new razor scooter, 18" doll and its accessories. After the party we set up the rainbow light in her bedroom. She loves having a rainbow for a nightlight. Now I think I want one for my bedroom too!